Unwind, Rewind. ReHappy Hour at Republic. It’s the best reason to get out of bed this afternoon. There’s a reason all the clocks in the house are stuck at 5:00… It’s always 5 o’clock in the Republic timezone. 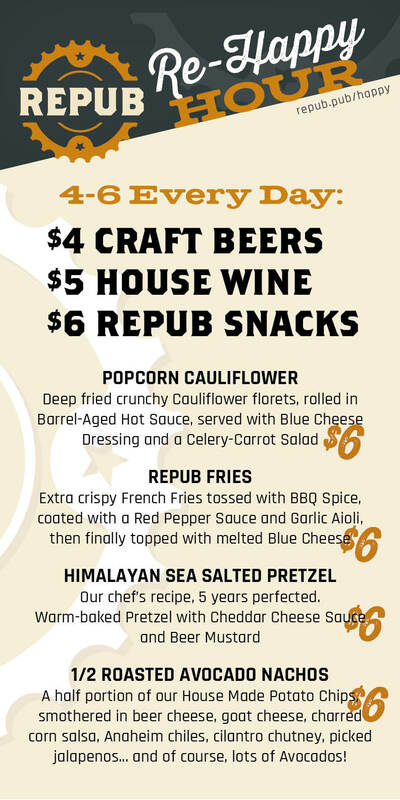 Celebrate 5 o’clock – the peak of Happy Hour – every day from 4 to 6!